If you would love to own incredible designer furniture but are the ultimate bargain hunter, don’t miss the last week of May at Coyle & Herr!! Have you heard of Architect, Mary Beth Herr and Chicago’s own Office of Tourism Director, Dorothy Coyle? They have opened a unique shop in The Bridgeport Arts Center on 35th. 10 days per month, lucky shoppers can experience finds such as Christian Liagre for Holly Hunt black leather chairs, Bertoia wire chairs, a Mies van der Rohe chair covered in Knoll fabric, Baker sofas and loveseats, Dunbar tables and various non-pedigreed mid-century modern pieces. You will find prices HALF what they sell for at retail! When auctioneer Leslie Hindman runs across clients with nice furniture that isn’t quite auction quality, she refers them to Coyle & Herr’s consignment. 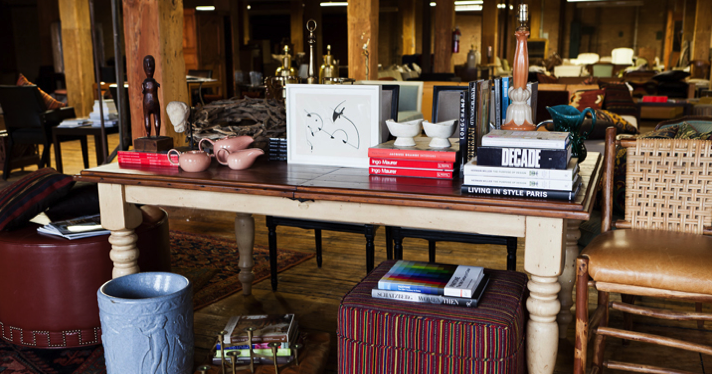 You will find an amazing 12,000 square-foot space filled with treasures. Lighting, artwork, rugs and other accessories are available. You’ll also find pieces from furniture dealers, designers and upholsterers that have excess inventory. Herr can give advice about upholstering or rehabbing pieces that need a little TLC. You may want to take home an entire vignetted space! The showroom, which features soaring windows and wood floors, is open by appointment and will be open ten days each month; this month’s sale runs from May 18-28th (hours are 10 am-6 pm each day). Make sure you stop by often (RIGHT down the street from Lexington Square!) for carefully edited furniture selection, constantly refreshed with inspiring new pieces. You will find something different every time you visit. They will help you create special rooms throughout your home. There is also secure parking in a large lot and stress free pick ups at the covered dock.